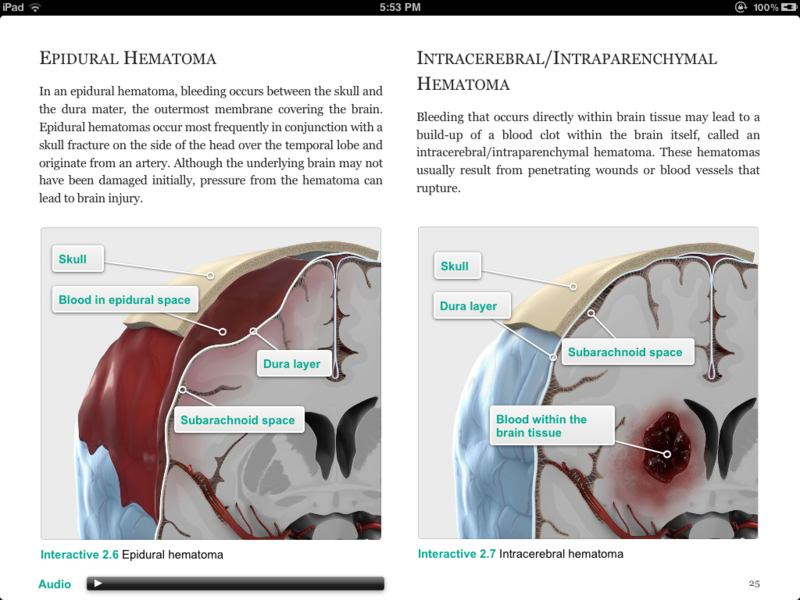 Understanding Brain Injury: Acute Hospitalization, and interactive iBook that includes descriptions of brain injury assessment options and common ICU equipment utilized, transition to the acute hospitalization setting, common adjustment issues and methods to cope and the roles and responsibilities of treatment team members. 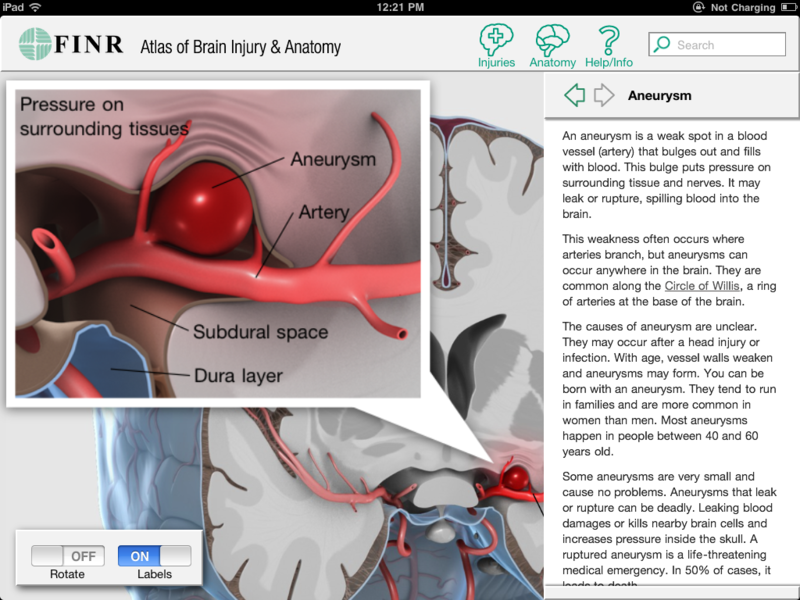 FINR Brain Atlas enables users to explore brain anatomy and common injuries using an interactive 3D model. Detailed descriptions cover normal structure/function, changes due to injury and their effects. 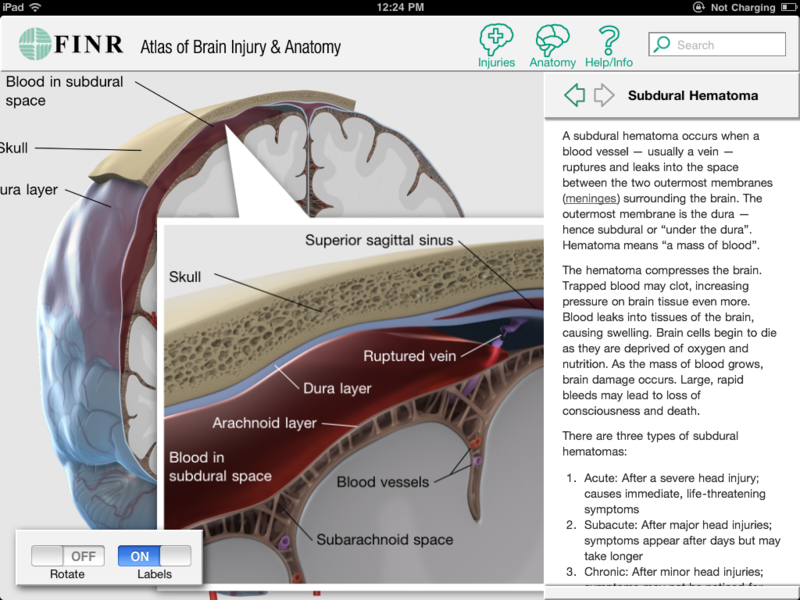 This is a helpful resource for people in need of a quick primer on the causes and effects of brain injury. While not all brain injuries are preventable, many are. Wear a helmet and be safe!